Ten Manchester Street Hotel is positioned to give you ultimate access to everything London has to offer. Marylebone High Street offers a wide selection of boutiques and restaurants, from high end retailers, Michelin starred restaurants, galleries and auction houses. Baker Street, situated just 5 minutes from the hotel, offers a variety of attractions for everyone, whilst Ten Manchester Street is perfectly located within five minutes walking distance to Oxford Street and Bond Street, home to quintessentially English fashion institutions and high street stores alike. Take public transport from Bond Street, Baker Street or Marylebone stations and reach a multitude of London's attractions in a few short minutes. Ten Manchester Street is a boutique hotel in Marylebone, with 44 unique bedrooms housed in a beautiful Edwardian building. This four star boutique London hotel is located close to Regents Park, within 5 minutes walking distance of Baker Street station and 10 minutes from Oxford street and Bond Street station. Located conveniently behind the Marylebone gardens, this luxury boutique hotel is only a minute’s walk from the famous Marylebone High street. This area provides a welcome getaway from the busy streets of London, and is the perfect place to relax and indulge yourself after a long day. Ten Manchester Street Hotel is also home to Cigars at No. 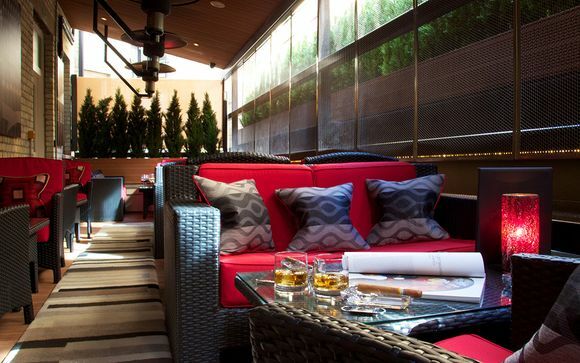 Ten, an exclusive cigar shop and indoor tasting room boasting an all-weather cigar terrace and walk-in humidor. Cigars at No. Ten offers a comprehensive range of hand-rolled Havanas plus many other famous Cuban marques. 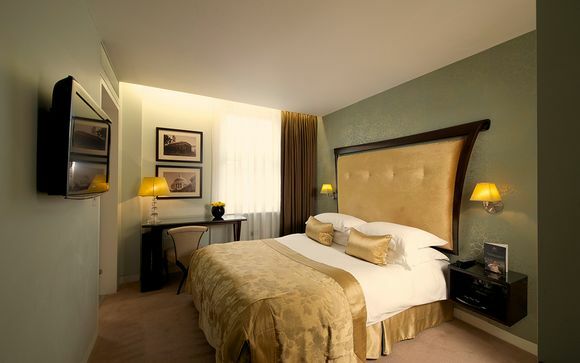 This offer is based on a guaranteed upgrade from a Superior Room to a Deluxe Room. Peaceful and relaxing, you'd never know the Deluxe Rooms at Ten Manchester Street were in the heart of London. All fitted with plush furnishings, lush textiles and a luxury bathroom, your stay will let you unwind and feel right at home. Dieci is an elegant, modern Italian restaurant in Marylebone. Dieci Restaurant is the perfect place to unwind and enjoy modern Italian cuisine, rare fine wines and spirits. Set in the heart of Marylebone, discover delicious menus combining the best seasonal produce with authentic Italian sourced ingredients. One of finest cigar venues in London, Cigars at No.Ten offers an unsurpassed range of hand-rolled Havana cigars. Be spoilt for choice with a fine selection and sample cigars in an indoor tasting room, before making your choice of single stick or box to purchase. All Havanas are meticulously maintained by a dedicated cigar team, who house them in a bespoke humidor, ensuring that your chosen cigar arrives in complete optimum condition. Experience a full service of cutting and lighting on the unique all-weather terrace. To that, add the perfect accompanying drink to match your choice of Havana and a delicious bite from the new aperitif menu. Cigars at No. Ten is proud to be an official Gold Havana Cigar Specialist. Exit Baker Street underground station and walk south, down Baker Street, until you see a left turn to Dorset Street. Take this left turn and then the second right which is Manchester Street. A short walk from mainline Marylebone Station, and conveniently located near Baker Street tube station, ensuring easy access to Paddington, King's Cross, St Pancras and Euston Stations thanks to Hammersmith & City, Circle, Metropolitan or Jubilee lines. 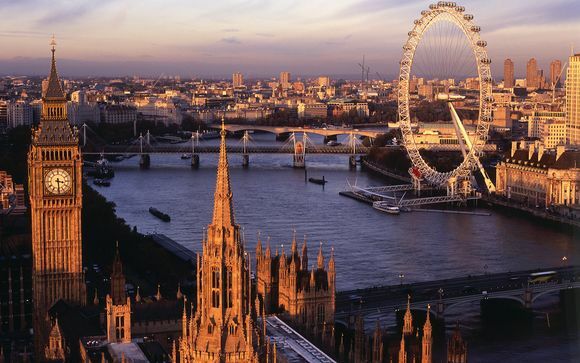 Take the Heathrow Express train, which runs direct to Paddington Station. Change on to the London Underground and catch a train on either the Circle or the Hammersmith and City Line running directly to Baker Street underground station..